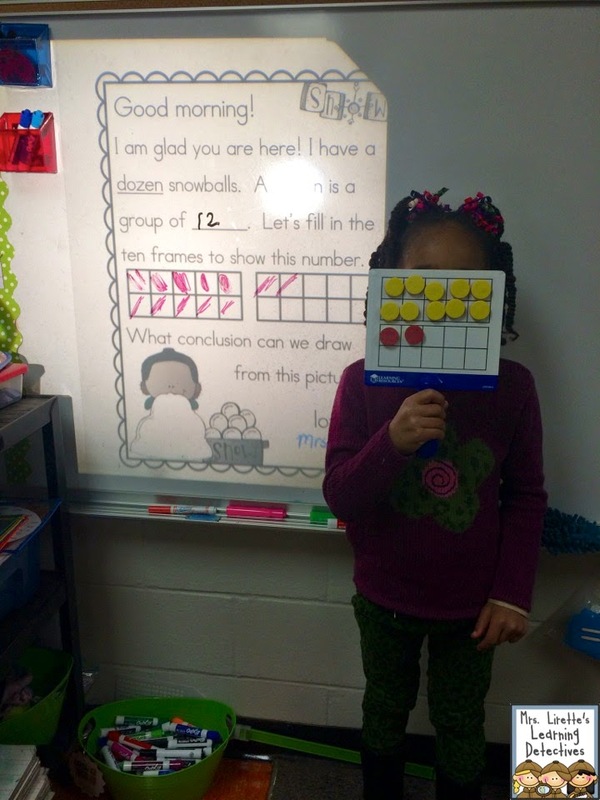 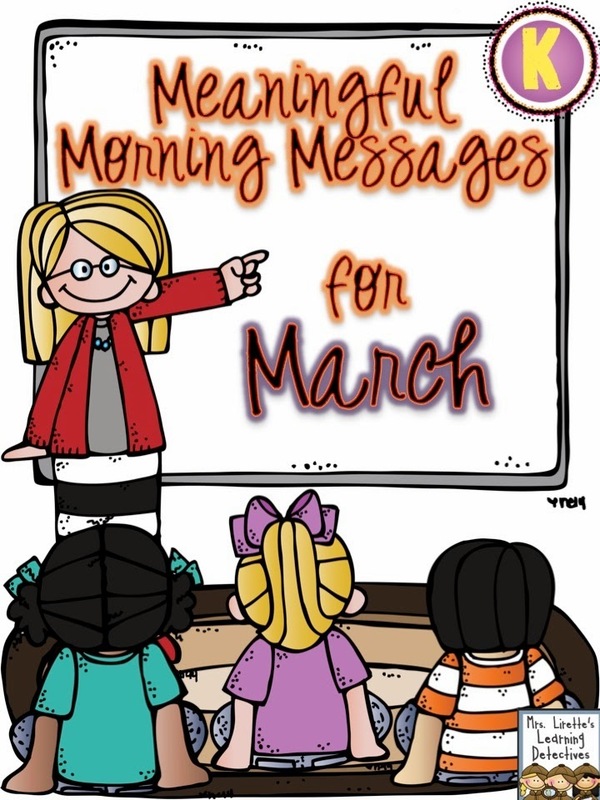 Mrs. Lirette's Learning Detectives: March Morning Messages! 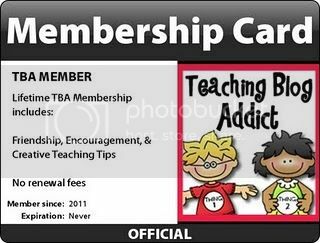 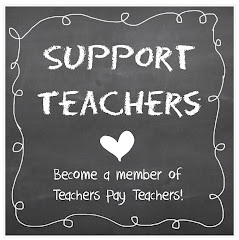 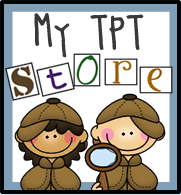 Check out the description on TpT to see the list of 30+ skills covered this month. 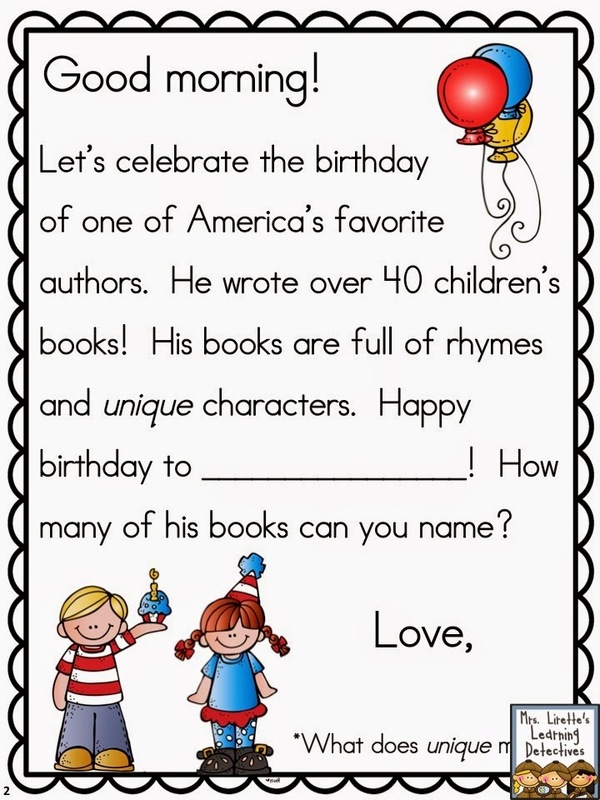 The themes include: Read Across America (You-Know-Who's Birthday), St. Patrick's Day, Spring, Insects, etc. 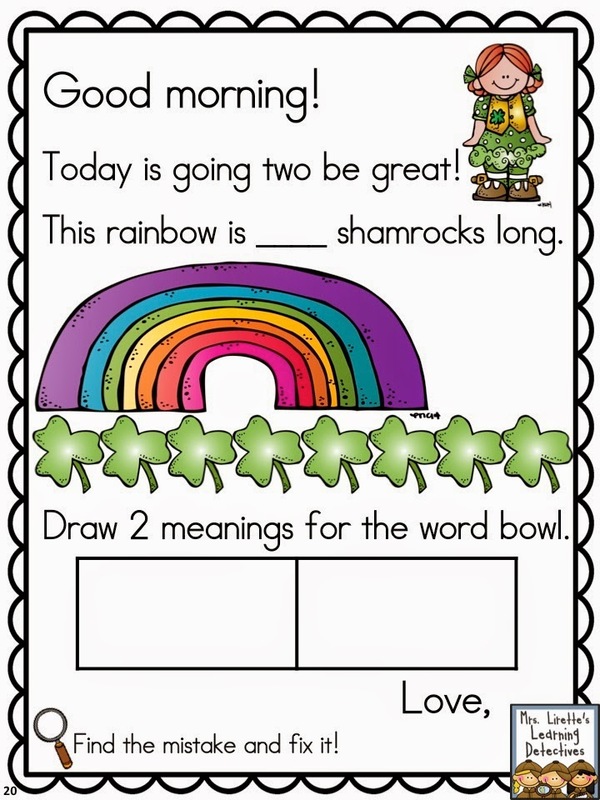 You have shared very nice messages dear. 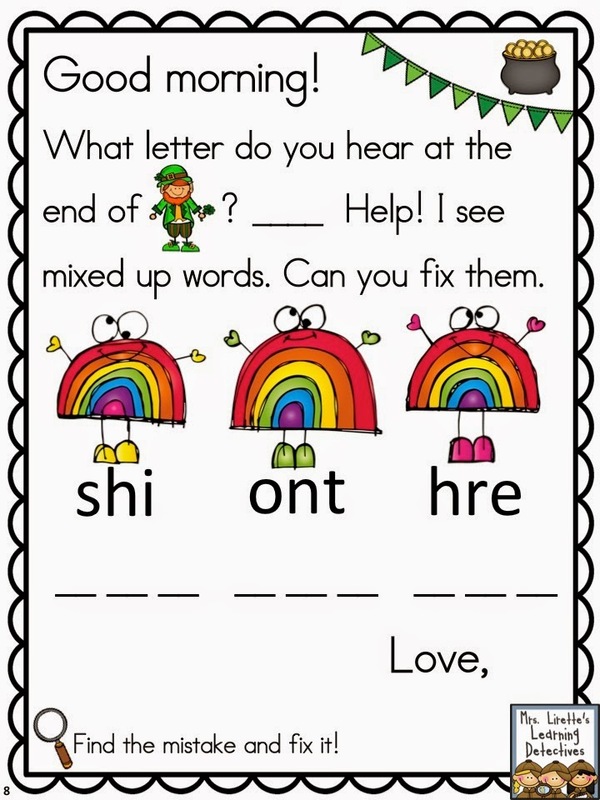 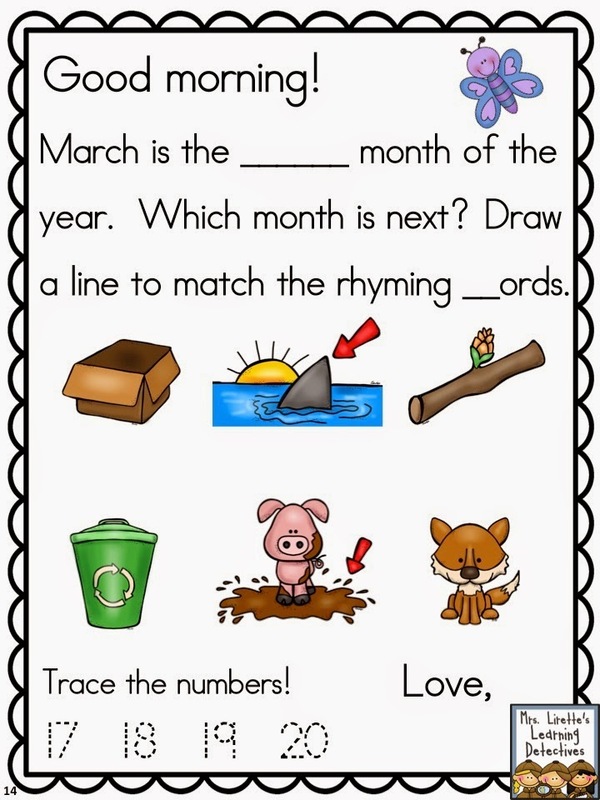 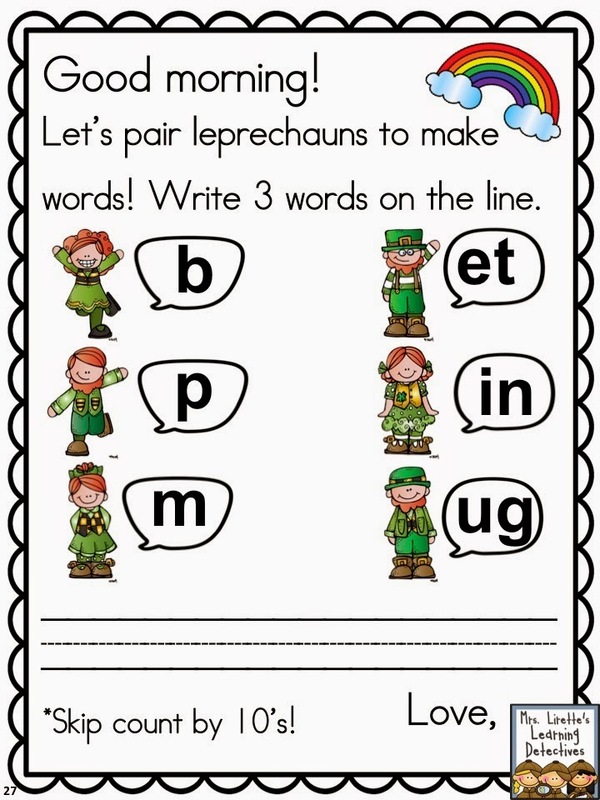 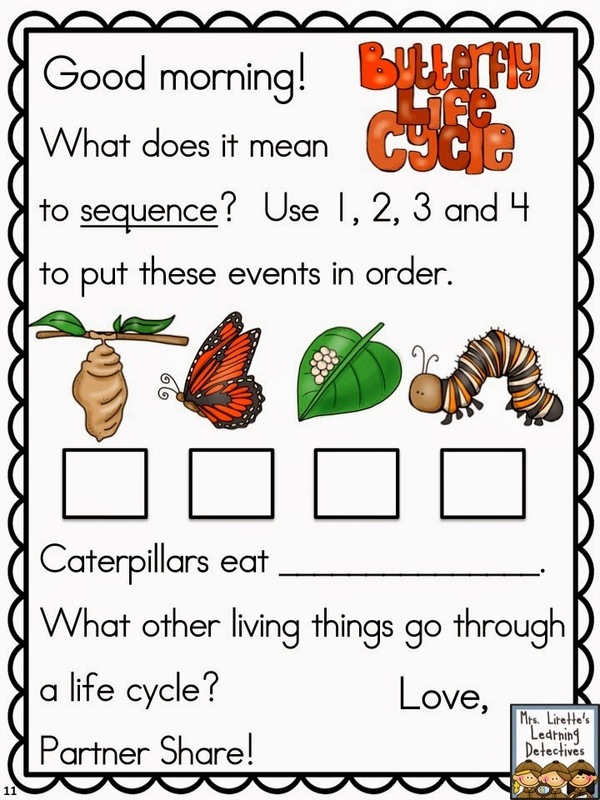 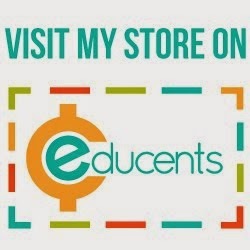 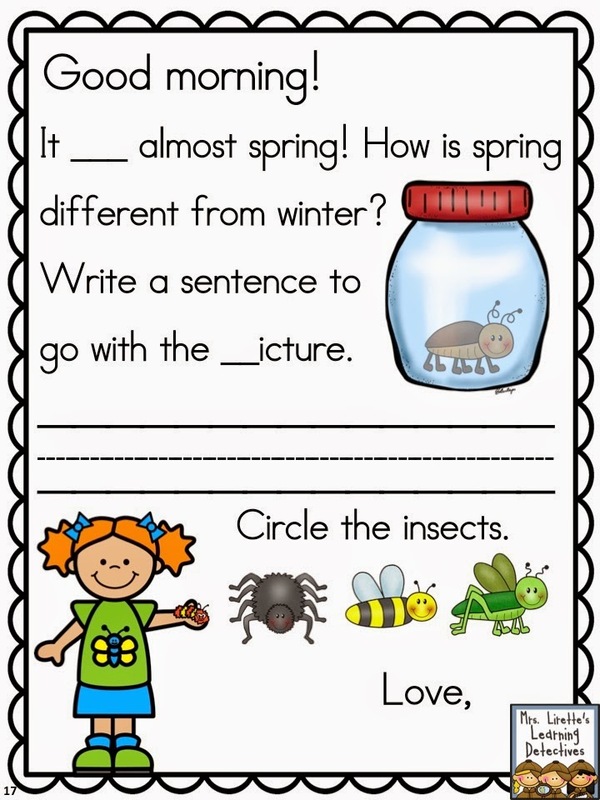 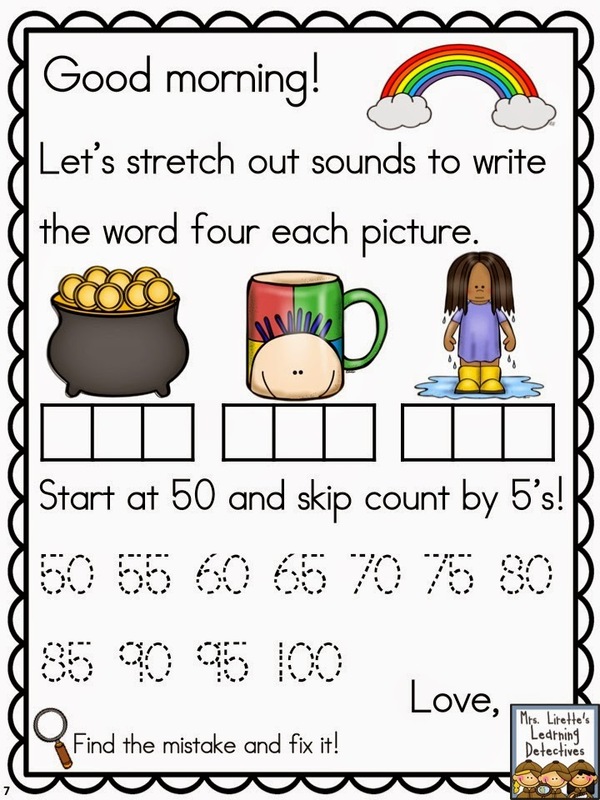 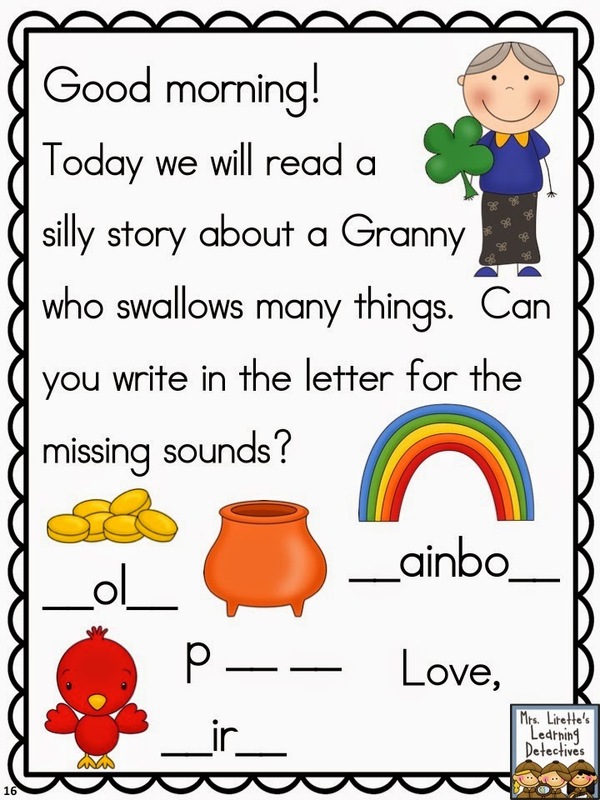 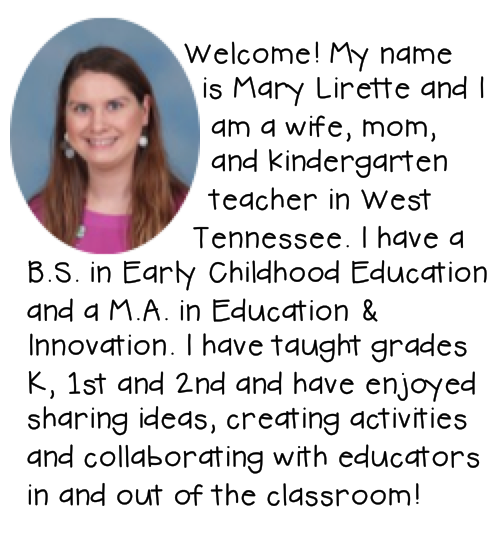 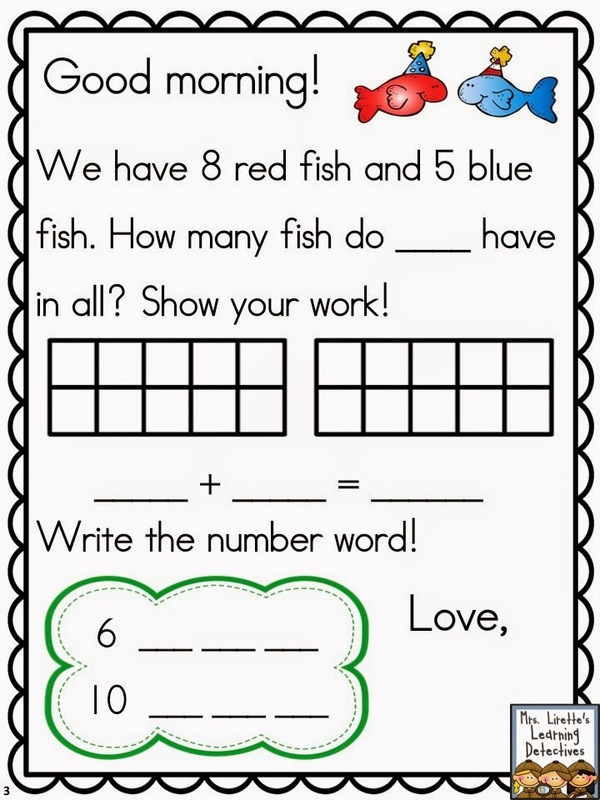 Can you share me idea how can these messages will be helpful for learning new things to my 3 year old kid, who just have started going to Phoenix kindergarten. 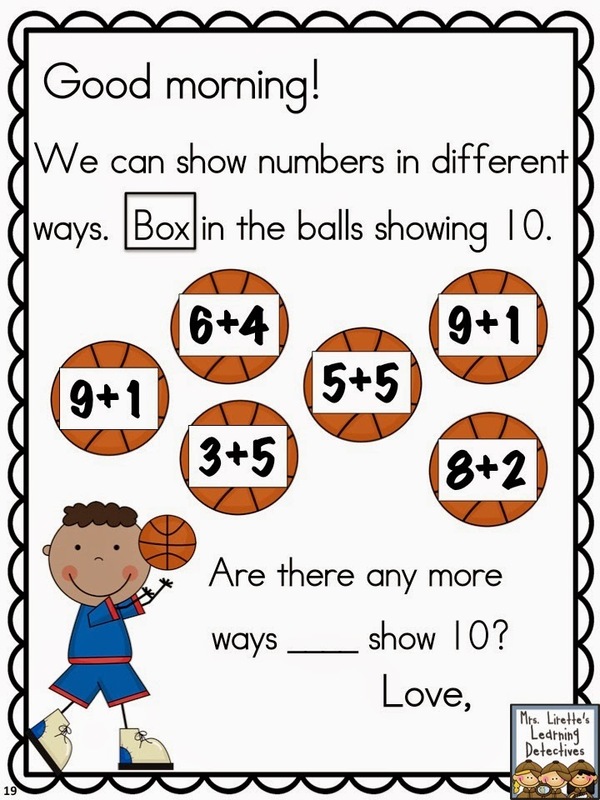 I am trying in every way to make him understand things easily.